Other subscribers, who have opted for 3, 6 or 12 month subscription, were sent an email so that they can choose their favourite lipstick shades. I, being a one month subscriber wasn’t asked about my preference and I received the shade ‘Big Bang Berry’. I really wanted to try out their new shade launch ‘Peachy Little Liars’ and the already launched one ‘Breaking Bare’. 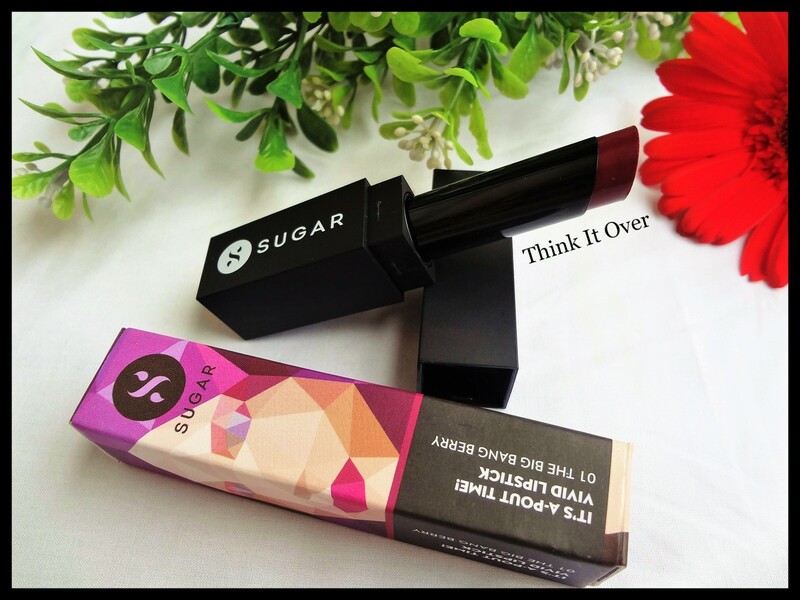 In fact, I had ordered ‘Breaking Bare’ few months back from Sugar Cosmetics website but after few days since I ordered, I received an email that the lipstick was out of stock. This kind of annoyed me because if it was already stocked out, then why were they still open with ordering process? 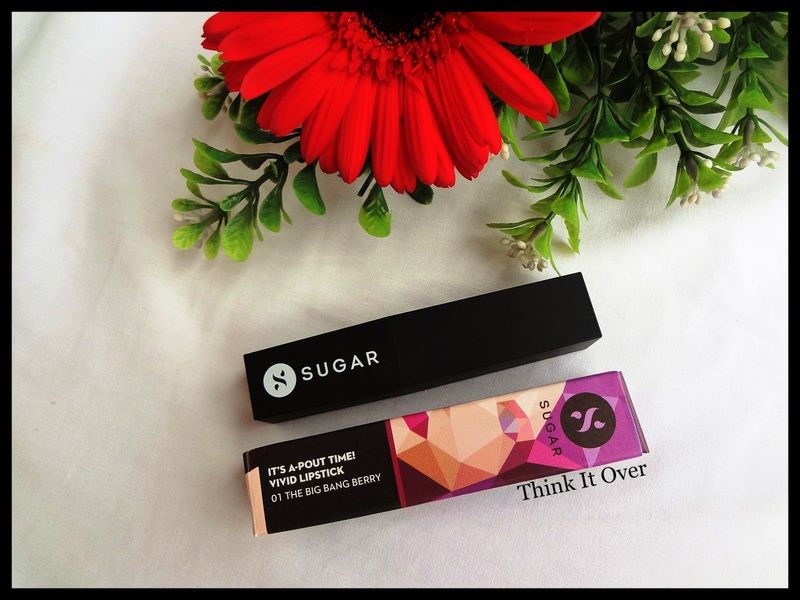 The Sugar It’s A Pout Time lipstick comes in a cute cardboard packaging with a face drawn onto a crimpled sheet of paper. 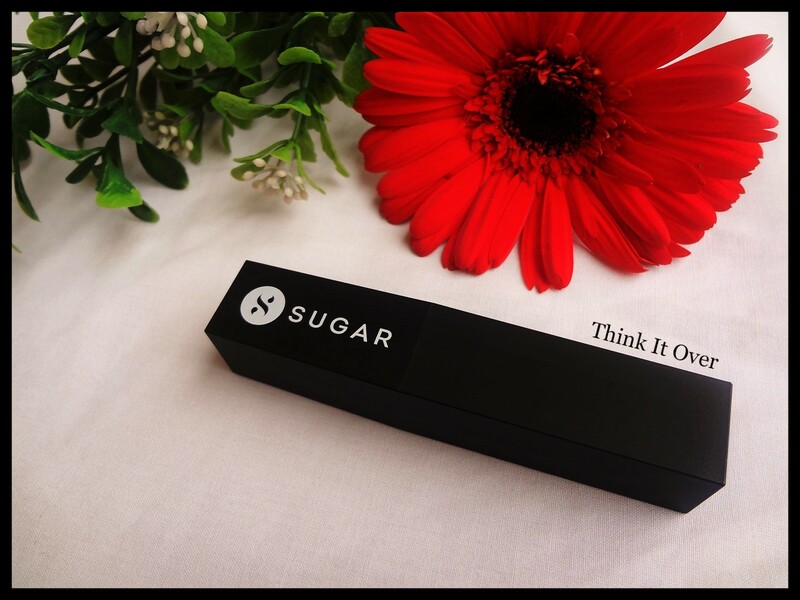 The lipstick tube is all matte black with Sugar written across in white. 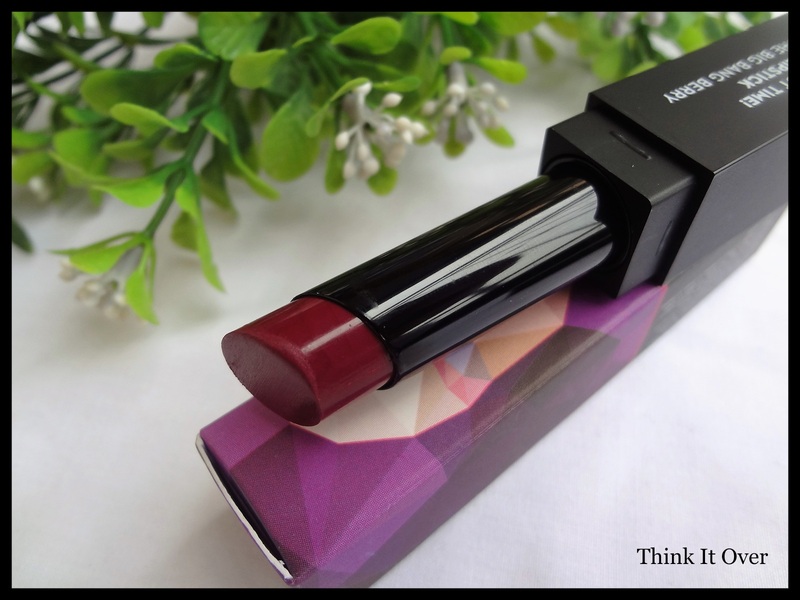 Lid lock of the lipstick is quite sturdy which makes it convenient for travelling. This lipstick retails at INR 599 for 3.5 gram of the product. You can buy it from Nykaa or Amazon. While application, the lipstick does not glide easily onto the lips but you can still work it out without a lot of difficulties. The texture of the lipstick is matte but not super matte. 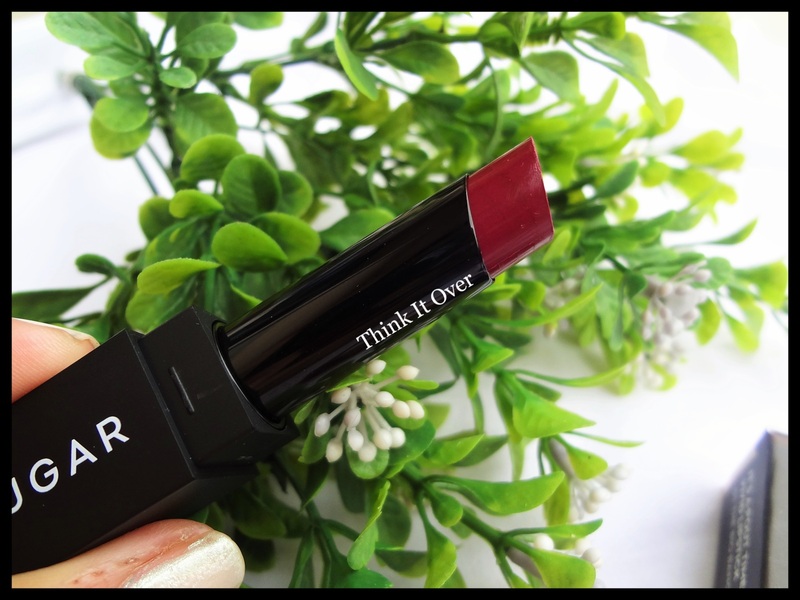 It actually doesn’t feel heavy at all; you can hardly feel that you’ve applied a lip colour. Also, the lipstick isn’t transfer proof and does stain the rim of the coffee mug. Though the lipstick is long lasting, but it fails to remain intact after a meal. After eating, I noticed it vanishing from central parts of the lips and colour intensity fading from outside. The lipstick stays on for full 4 hours if you have no meal or drink. 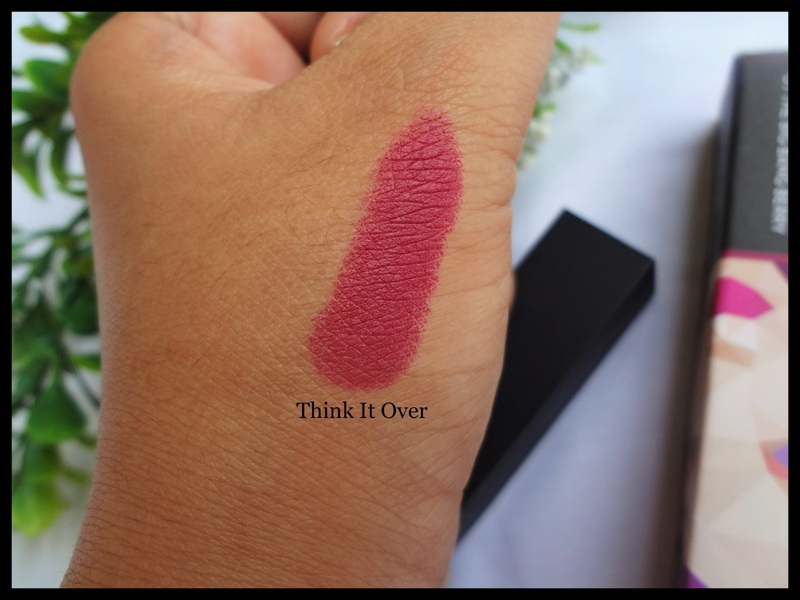 If the lipstick fades out, it leaves behind a beautiful stain. Usually the central portion is more vulnerable to getting faded. Fortunately, the lipstick does not accentuate the lip lines by not settling in between them. 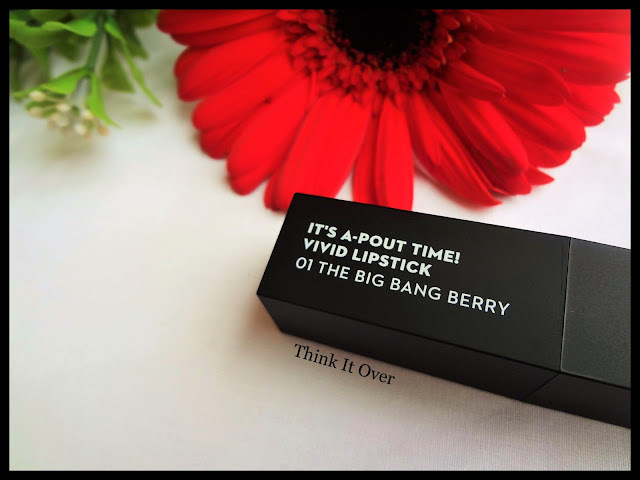 Big Bang Berry as the name suggests, is a berry or plum pink colour that would look absolutely gorgeous on all skin tones; especially the golden or olive skin tone. It is one of the most appropriate colours especially for Fall season. For my personal preference, the lip shade is slightly dark, may be because I am currently loving all n*de shades. But otherwise, my friends really liked this shade. That's a pretty shade. Well reviewed.